Do you or someone you know have problems coping with low vision and want to find out more about how we can help? We understand how frightening and frustrating sight loss can be, not only the individual, but also for their family and friends. We offer a low vision assessment and advice service which enables us to give you the best possible advice on how to make the best use of the vision you have and how using some simple assistive equipment can help you live a safe and more independent life and manage your sight loss. 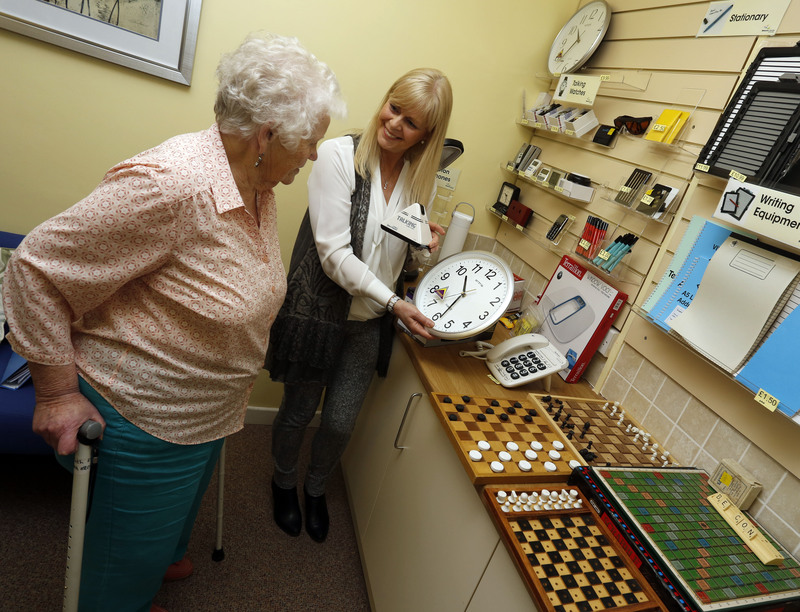 We also have access to a wide range of assistive equipment to help maintain independence ranging from talking clocks to the latest scanning and magnification devices. To find out more you can visit our low vision shops in Sedgley, Cannock and Stourbridge. Our Sedgley branch is open Monday to Friday between 9am and 4pm. Our Cannock advice centre and shop is inside our charity shop in Market place and is open every Monday. Our Stourbridge low vision shop is at our day centre based at the Mary Stevens Centre, 221 Hagley Road, Oldswinford and members of the public are welcome to drop in between Monday and Thursday between 10am and 2pm.